Event planning is a very interesting career and youngsters often like to take up careers like this. If you are planning to be an event planner, there are several things you need to know regarding the career so that you make the right choice. Here we have listed out these factors to become an Event Planner. Event planning is a fabulous career for individuals who enjoy taking up challenges and trying out something new. The event planners are individuals who take the responsibility of planning events completely. They need to take care of many different aspects like organising and planning an event, scheduling it perfectly, arranging transportation facilities, arranging food and all other aspects related to event planning. What are the different skills expected in Event Planners? An event planner must possess multiple skills to do justice to his job. 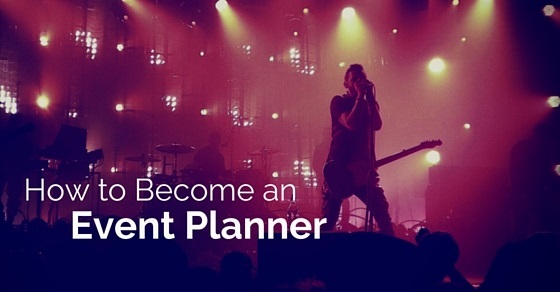 Here we have listed out a few of the key skills on how to become an event planner. An event planner has to handle many tasks simultaneously. He may have to invite people, speak to co-ordinators, plan and arrange the decoration and prepare a budget. All individuals are not gifted to tackle multiple tasks effectively at the same time. Multitasking can prove extremely useful in the career of an event planner. A successful event planer is always orderly and organised. He knows how to sequence the different events in a proper order so that things happen smoothly. Proper planning is important so that things happen as desired. Event planners are capable of planning all the activities in the most effective manner. A poor event planner can ruin the whole occasion due to lack of foresight. An event planner should have a rough idea how much money will be required to plan a certain event. He should allocate funds for the event based on the amount of money that will be required for the different activities. Some inventory should be set aside for any kind of emergency or crisis. Individuals who have greater experience in this field also manage resources and man-force at much cheaper rate with the help of right contacts. Communication skill is a vital ingredient in most modern careers. Individuals can prosper in their business only if they possess good communication skills. You need to make sure you are able to speak confidently during interviews and presentations. If you lack confidence, try and improve your confidence by practising. You should also try and improve your vocabulary. Good word prowess is always known to create a lasting impression. Avid reading is a great way to improve your vocabulary. The job of an event planner gets even more challenging because of the increasing demands of the clients. While there are countless events organised each day, there are few that remain in the minds of the people. Creativity of the event planners is what sets these events apart from the rest. Clients who hire event planners expect the same superior creativity to be used in their events too. Understanding what is in the mind of the client and working accordingly is always the greatest hurdle for an event planner. Individuals should possess the knack to maintain good contacts with vendors, decorators, drivers, waiters or other people who would be required while arranging an event. This helps to speeden the whole event management process. If you have good contacts, you may also be able to hire the services at a much lower rate than the one quoted initially. What are the Different Types of Events You Need To Plan? A candidate who plans to take up the event planning career should be aware of the vast variety of events that he may have to handle during his short tenure. The nature of the events and the amount or type of preparation required for each of these events may vary greatly. Here we have listed out a few of the major events that you may be expected to cover and the type of preparation required in each case. Trade shows are usually huge commercial events. In these events, you may have to arrange stalls according to each exhibitor’s individual needs. You may also have to arrange for food and transport facilities. Lighting should be proper and special arrangement for meeting of all clients or prominent members should be made.Planning for such events may take weeks or even months. Meetings and seminars are professional events and they need to be planned accordingly. Event planners should select their attire properly while dealing with senior level executives of huge firms. All the equipment and devices that would be required for the meeting or seminar should be arranged well in advance. These gadgets can either be hired or purchased. If you frequently arrange such events, it would be better to invest a little money to buy these devices. Event organizers may sometimes have to take up the responsibility of organizing fashion shows. In case of such events, you may have to communicate with make up artists, models, modelling agencies, costume designers, stage decorators as well as the hospitality department. You must possess the ability to deal with different kinds of people. You should also be able to schedule the event properly and allocate resources based on the type of event and the location. The challenging part of occasions like weddings and marriages is that they can vary from caste to caste and creed to creed. The preparations do not have one standard format. As soon as you get the wedding and event planning project, you need to identify the rituals and customs that would be followed by the community of the couple. In case of intercaste or inter-religion marriage, you may have to combine the traditions and rituals of two different communities. You need to arrange for the transport, catering, lighting and all other arrangements accordingly. What are the challenges faced by Freshers in Event Planning Program? Event planning business is a truly challenging career for the beginners. This is because of the multitude of challenges that they have to cope with each day. Here we have jotted down some of the major challenges. Freshers or individuals who lack proper experience in this field fail to understand the organised ways to deal with various tasks. This makes them lose valuable time on trivial arrangements. Time is money in event planning and such losses affect the reputation of freshers. People with several years of experience have valuable contacts to their credit, to back them. The credibility of these contacts have also been established over the years making them extremely reliable. Experienced event planners are usually in touch with the right people they need. This helps them to provide superior services to their clients and establish trust in the business relation. This is an added advantage that you get only after spending years in this field. How to Become an Event Planner Without Experience? The different aspects of event planning as a career clearly reveals that it is not really easy to be an event planner. Yet, individuals who take a special interest in this unique career should keep the following points in mind. It will help him succeed in his career. Unless you know what exactly is involved in a certain event, you will never be able to do perfect justice to its planning. You also need to research about the cultural significance of the event and how the event evolved over the centuries. It will help you develop more interest in planning the event correctly. All clients hate to have the same thing over and over again. Try to make each of your events unique in a way. Experimenting is a great way to achieve this goal. Try out new options and possibilities that go equally well with the present setting. You never know when you will actually initiate a whole new trend. Even if you arrange the event perfectly, if it does not match the client’s expectations it will never do. It is thus vital that you understand what the client wants. Interact with him and try to get a view of his imagination of the event. It will help you plan and succeed. Technology is changing at lightning speed. There is something new every single day. You need to keep track of the changing technology and see what may be useful in your trade. You may have event planning apps or websites that help you get in touch with different individuals related to the field. Make the best use of such technology. An ideal event planner is the result of persistent effort and the never give up attitude. The initial years could be quite challenging but later things are sure to fall in place. Previous articleHow to Get an Editorial Internship?